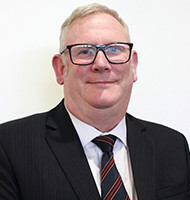 Mr Arkell was appointed member of the Cancer Council Queensland Board of Councillors in 2004 and has been a Director of Cancer Council Queensland since 2011. He has also been a member of the Finance, Audit and Risk Management Committee (formerly the Management and Finance Committee) since 2001. Mr Arkell was Chair of the Management and Finance Committee from 2012 to 2017 and is now the Deputy Chair of the Finance, Audit and Risk Management Committee. He was appointed Chair of the Board of Directors in 2017. Mr Arkell is a Business Development Director at QIC Limited (QIC). Since joining QIC in 1994, Mr Arkell has held senior finance, governance and client facing roles. Mr Arkell is a Chartered Accountant and is a former National President of the Institute of Chartered Accountants in Australia (now Chartered Accountants Australia and New Zealand). 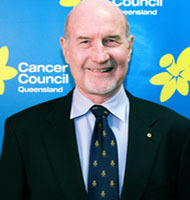 Mr Dornan has been a Director of Cancer Council Queensland since 2011. Mr Dornan is a physiotherapist with more than forty-five years’ experience in the field of sporting injuries and manipulative therapy. He has been official physiotherapist for many international sporting teams, including the Queensland rugby team, the Wallabies and the Kangaroos. He has also been an Olympic Games Advisor and Commonwealth Games physiotherapist. Mr Dornan is also a prostate cancer survivor since 1996 and is the Founder/Convenor of the Brisbane Prostate Cancer Support Group. His hobbies include sculpture and writing. 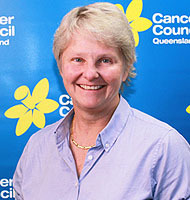 Dr Green was appointed member of the Cancer Council Queensland Board of Councillors in 2009 and has been a Director of Cancer Council Queensland since 2011. She was appointed Chair of the Medical and Scientific Committee in 2018. Dr Green works at the University of Queensland Health Service (St Lucia Campus) as a general practitioner and is a visiting medical officer at The Prince Charles Hospital in the Cardiac Sciences Unit. She is an experienced medical educator, currently working as a part time Senior Lecturer with the University of Queensland School of Human Movements Studies. Mr Wiltshire has been a Director of Cancer Council Queensland since 2017. He has also been a member of the Finance, Audit and Risk Management Committee (formerly the Management and Finance Committee) since 2009. Mr Wiltshire was appointed Chair of the Finance, Audit and Risk Management Committee in 2017. Mr Wiltshire is Executive Chairman of HoldenCAPITAL Group, a specialist construction finance consultancy specialising in the sourcing debt and equity solutions for the development sector. He has over 41 years’ experience in Banking and Finance specialising in Real Estate advisory and finance disciplines including structured lending, joint ventures, investment, development, securitisation and syndication. and National Head of Portfolio Management with Macquarie Bank’s Real Estate Investment Group, where he spent 26 years in various senior roles specialising in Property advisory and finance. 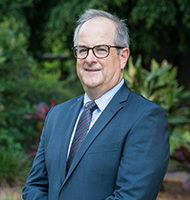 Mr Gregg has been a Director of Cancer Council Queensland since 2018. He has also been a member of the Finance, Audit and Risk Management Committee (formerly the Management and Finance Committee) since 2016. Robert has over 30 years’ experience in the investment banking, private equity and funds management industries in Australia, Asia and South Africa. During this period, he has held senior corporate finance positions with a number of major international investment banks. Robert has particular experience in international investment markets having spent over five years living in Asia and having held a number of directorships of business groups operating in Asia and Europe. He is currently the joint managing director of a Brisbane based funds management business, managing investment funds with assets in Australia and the United Kingdom. He is the non-executive Chairman of the Armadillo Self Storage Group in the UK. Robert is also Deputy Chairman of the Board of Mercy Super, a corporate superannuation fund for current and former employees of Mercy Partners and other Sisters of Mercy organisations, and their partners. Robert holds a Bachelor of Commerce with Honours and a Bachelor of Law with Honours from the University of Queensland. He is a Member of the Institute of Chartered Accountants of Australia, a Graduate of the Australian Institute of Company Directors and a Fellow of FINSIA. 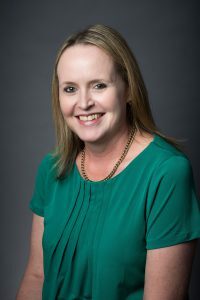 Professor Karen Becker was appointed to the Cancer Council Queensland Board and Chair of the People and Workplace Committee (PWC) in 2019. She was previously a member of the Management and Finance Committee 2015-2016, and then member and Deputy Chair of the People and Workplace Committee from 2016 – 2018. Professor Becker is the Discipline Leader for Management, and Deputy Head (Research and Engagement) in the USC Business School. She has been researching and teaching the management and development of people in the workplace for over 15 years at three universities. Prior to this, she worked for 12 years in corporate human resource management and consulting roles. 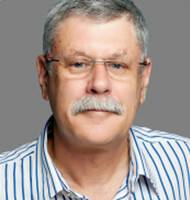 Professor Becker is a Graduate Member Australian Institute of Company Directors (GAICD).